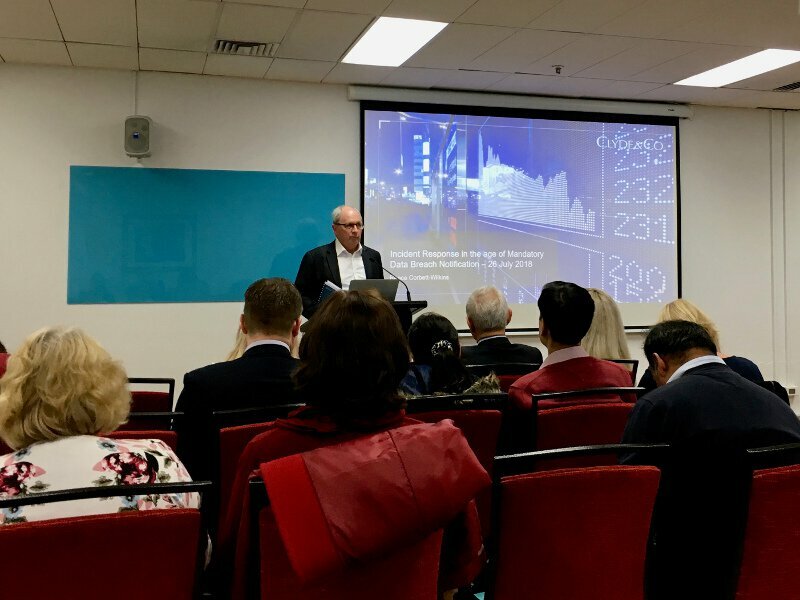 We were honoured to be invited to the Australian Institute of Conveyancers (AIC NSW) Cyber Security Seminar last week. On this two-hour session, the audience had the opportunity to look at the recent cases of cyber fraud against conveyancing practices, and what steps they can take to guard against being affected. Our cyber security experts brought an informative slide deck stuffed with practical cybersecurity tips and advice. The audience – consists mainly of conveyancers – could take our advice and began protecting their practice from payment redirection fraud and cyber scams. These slides are also available to download here. We thank Chris Tyler (CEO) and Margaret Colyer (Information Education & Compliance Officer) for the invitation, and for keeping the conveyancing community safe by keeping them informed on the latest scams. Those, who could not attend the event should keep an eye on the AIC NSW members section as a video of the talks is going to be available on the website soon. We have also published a series of practical cybersecurity tips with conveyancers in mind. Learn how you can improve your cybersecurity at your conveyancing practice, and help prevent payment redirection fraud by turning on two-factor authentication on your email service. Besides, make sure to complete our simple cybersecurity health assessment to see whether your cybersecurity posture is ready for eConveyancing. Iron Bastion are Australia’s anti-phishing experts. We offer all conveyancing practices the same anti-phishing technology used by big business, without the big business pricing.